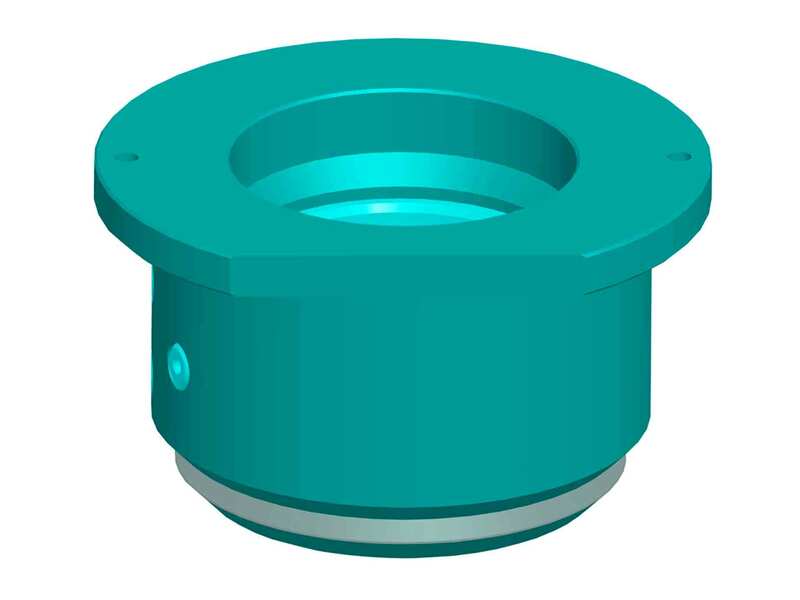 A “static non-rotating” bushing that has no moving parts, with an outer body that allows for replaceable wear sleeves to be interchanged when the inner diameter has worn beyond its useful life. The static deck bushing is not recommended for use in rotary drilling applications. This type of bushing is primarily used in DTH applications where the rotation speed is much lower than in a rotary application.